The chakras are different coloured energy centres that originate from seven different points in our body. Chakra is a Sanskrit (East Indian) word that means “Wheel”. For millennia the chakras have been visualized as round balls, blossoms or spheres of light that can open, close, darken, brighten and spin! 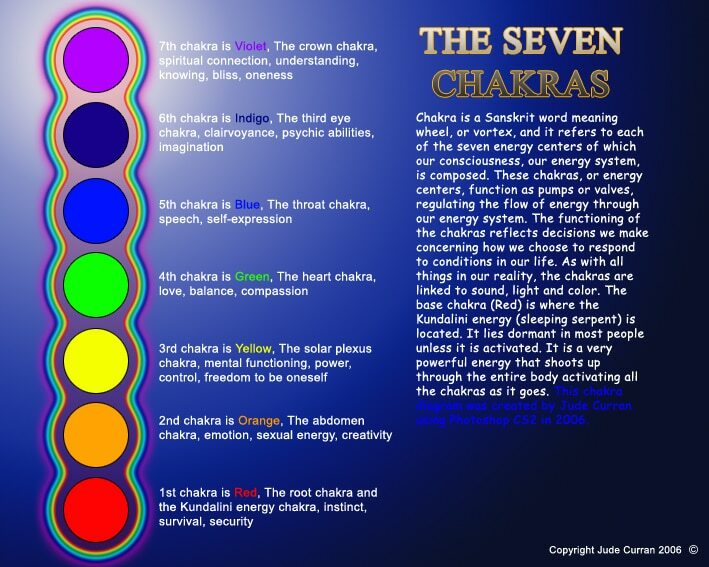 The location of each of the seven chakras represents a different aspect of human experience. Our emotions, ability to connect with others and physical health are thought to be reflected in the condition of each chakra.